Coming this November, Call of Duty: Black Ops Declassified will pack single-player missions set between Black Ops and Black Ops 2. 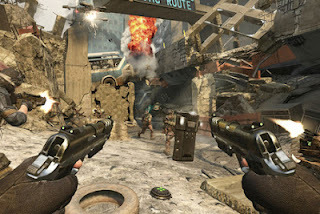 On top of that, Call of Duty Vita will support four-on-four wi-fi multiplayer that includes team deathmatch and Kill Confirmed (where you kill people and have to pick up their dog tags). Maps are built for the Vita, and PlayStation is promising touch screen gadgets and Near features. On top of all that, there will be a Call of Duty: Black Ops Declassified Vita bundle. The handheld included will pack a customized COD back panel. The game will be in there, too. Let us know if your excited for COD PS Vita in the comments below!